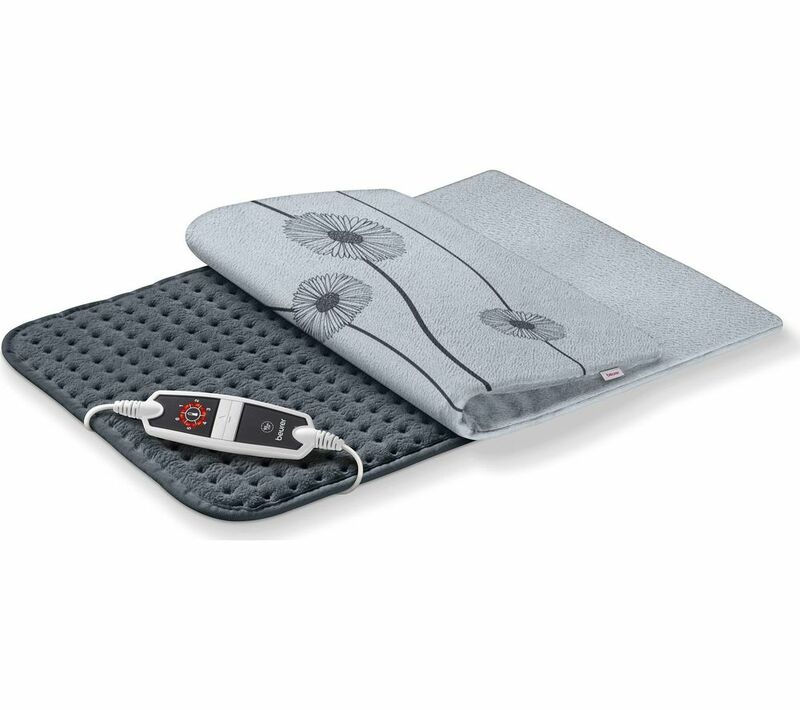 A safe alternative to hot water bottles, the Beurer HK 125 Cosy XXL Heat Pad comes in a larger 600 x 400 mm size for your convenience. 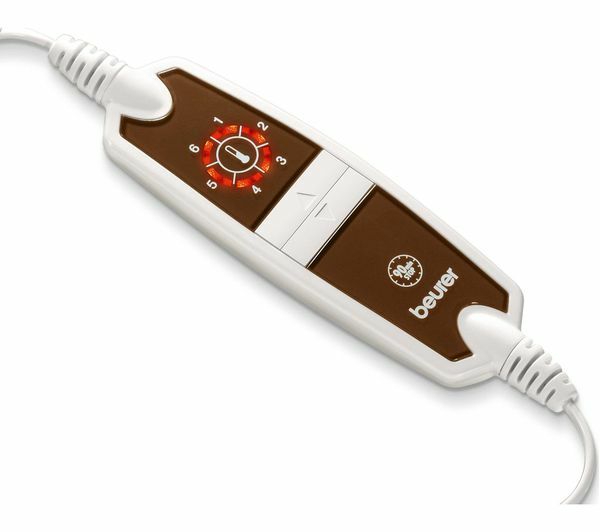 With six different temperature settings there's a range of options to suit your needs and the pad has an auto shut off feature in case you fall asleep while using it. The soft surface is designed to feel good against your skin and the pad can be machine washed at 30° if necessary. XL model better than the smaller previous one gives larger coverage of heat to help with back pain. Bangor This is genuine observation. Heats up rapidly with intuitive up down switches which respond efficiently. It has a rather cheap and nasty side switch for switching the pad on/off. Within the cover the heat pad has a tendency to curl over at top end ie.furthest end from zip closure. 13/1/17 The controller is quite good. 13/1/17 The heating pad buckles badly inside the cover when used as a foot warmer in bed. I cannot therefore use the cover. It's a good size, so covers the whole area you want to heat. There is a good choice of heat settings. The cover is machine washable. I find heat to be the best pain relief for arthritis, and I keep these heat pads in both my workplaces as well as at home.